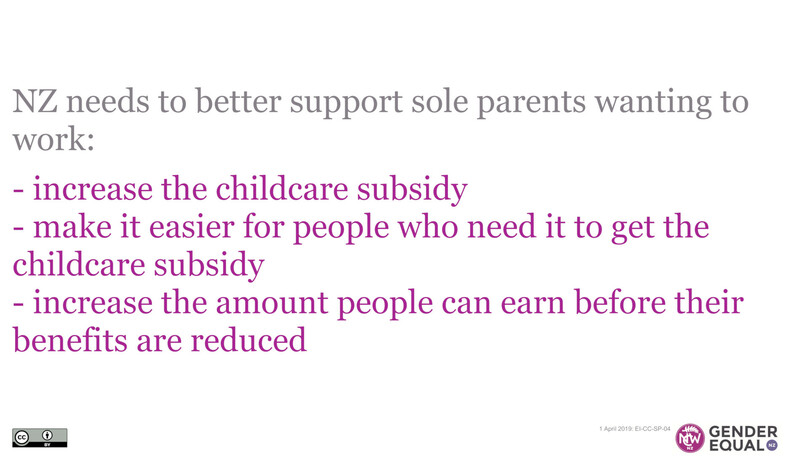 Childcare costs are a significant barrier to paid work for sole parents. This means many sole parents can’t work even when they want to. 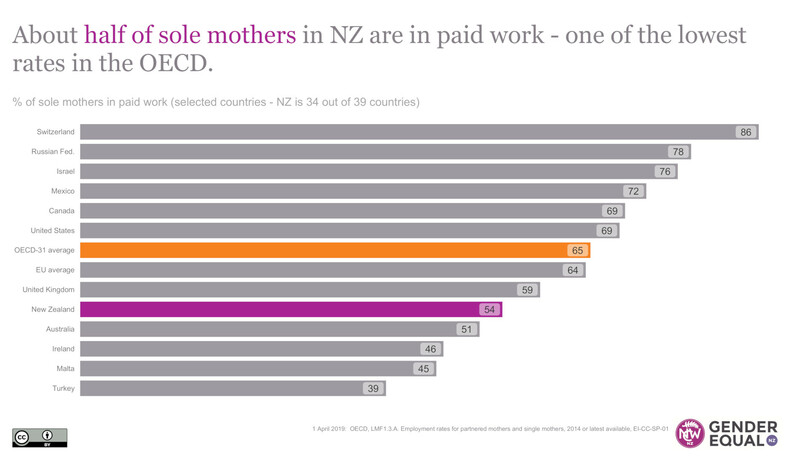 About half of sole mothers in NZ are in paid work – one of the lowest rates in the OECD. Chart showing % of sole mothers in paid work for selected countries (New Zealand is 34 out of 39 countries): Switzerland 86%, Russian Fed. 78%, Israel, 76%, Mexico 72%, Canada 69%, United States 69%, OECD-31 average 65%, EU average 64%, United Kingdom 59%, New Zealand 54%, Australia 51%, Ireland 46%, Malta 45%, Turkey 39%. Childcare costs for sole parents in NZ are some of the highest in the OECD (The cost of childcare as a percentage of income for sole parents in New Zealand is the sixth highest of 35 countries), even with 20 hours free early childhood education (ECE) and other childcare subsidies. 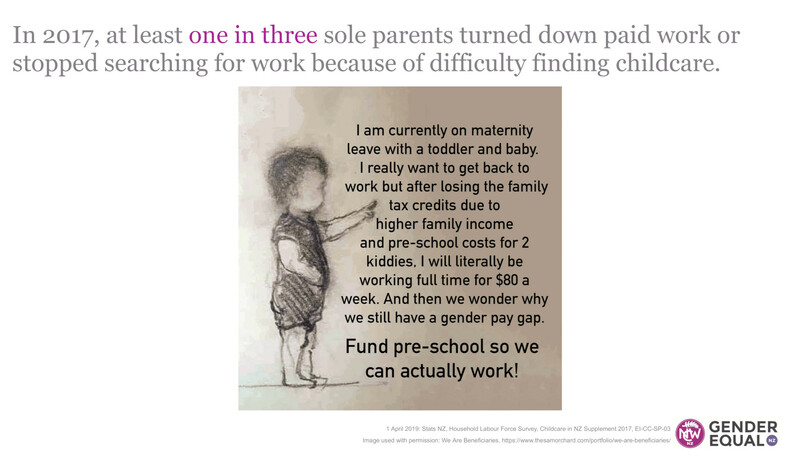 The OECD estimates that childcare costs in NZ account for 25% of the income of a single mother in full time paid work. In 2017, at least one in three sole parents turned down paid work or stopped searching for work because of difficulty finding childcare.